Turkey has become a major tourist hotspot in recent years. It is a unique mix of European and Arabic cultures – an ancient land that offers a taste of the exotic without having to travel to the other side of the world. For tourists, it is an opportunity to marvel at the historic wonders of the ancient world in a destination that is very tourist friendly. Beautiful weather, late summer sun, exquisite architecture and stunning resorts have made Turkey incredibly popular for travelers so if you are thinking about booking a holiday to Turkey yourself, here are a few of the newest highlights to discover during your time here. If you want to get out into the open countryside and explore the hidden side of Turkey, Abraham’s Path is an excellent option. This walking route stretches for 170 kilometers and will take you to various historical sites that are connected with the prophet Abraham and his journey to Sanliurfa. One of the most important of these is Göbekli Tepe, which is thought to be an ancient pilgrimage site. Many tourists have visited this area while in Turkey, but they usually travel above ground in hot air balloons. However, walking allows you to explore the dramatic scenery close up. You will come across odd rock formations, impressive gorges and stunning scenery, as well as churches carved from the rocks. 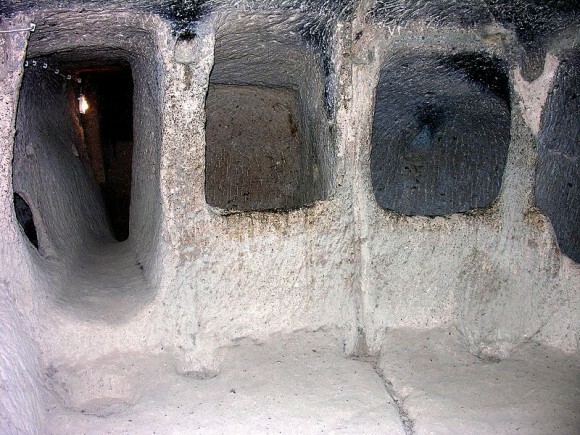 The highlight for many is Kaymakli Underground City, so consider adding this to your itinerary. Alacati, in the Izmir Province, is a popular destination for windsurfers and kitesurfers, because of the strong winds and the stunning beaches that you will find here. However, now more tourists are starting to visit this beautiful town because a number of new hotels have opened up in recent years. The beautiful Ilica Beach between Alacati and Cesme is the highlight, but the cobbled streets and ancient vineyards also make it worth a visit. Pamukkale – this surreal landscape with its famous white terraces has something otherworldly about it, and there are also some fascinating Greek ruins to explore. Blue Mosque – this huge mosque in Istanbul is a real sight to behold and is named for the thousands of patterned blue tiles that line the ceiling. Mount Nemrut – this mountain stands at over 2,000 metres and is located near to Adiyaman in the south east. Not only are there some stunning views, but there are also ancient ruins dating back thousands of years, which were built by King Antiochus I Theos of Commagene. 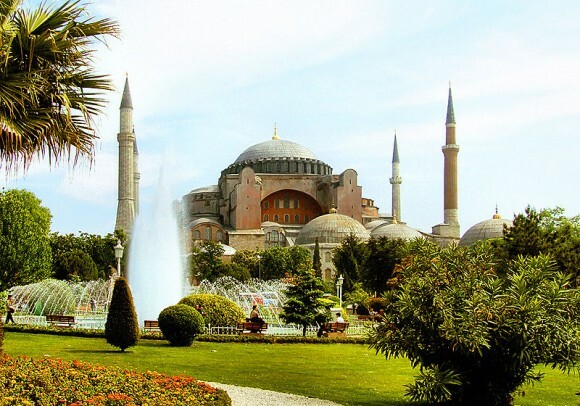 Hagia Sophia – this is another Istanbul attraction, consisting of a mosque with a huge dome that for centuries was the biggest enclosed area in the world. It is now a fascinating museum that is one of the main attractions of the city. Turkey offers travelers something a little bit different without having to travel too far from home, making it a fascinating destination for a summer holiday. If you like the sound of Turkey and you want to enjoy a holiday that takes in historic sights and beautiful surroundings, consider booking your own all-inclusive holiday here this summer. Justin Epley is a travel consultant with a penchant for Turkey. He enjoys sharing his insights through blogging. Impressive i really liked all the destinations out there. Turkey is really known for this beautiful beaches and resorts out there which were made up in the past and gives you a royal feeling to be in there.